We've got an ever growing collection of school and "back to school" colouring pages to print for your kids. These colouring pages can be useful if your child is a little bit nervous about starting a new school year, but of course can be enjoyed all year round too. School and school friends and teachers are such a big part of our children's lives. It's time to go back to school! This fun colouring page is perfect for welcoming the children back for a new school year - older kids can try to remember the names of the school equipment on this page too? This delightful backpack colouring page is an ideal activity for settling the kids back at school or as a fun colouring exercise for new school starters on their first day. The second of our book colouring pages looks like it might contain a fairy story. Choose from versions with or without a label. Is there a bus driver like this on your school bus, or perhaps the bus you take to town? Print this fun bus driver colouring page and colour his uniform and hat in just right! Just click the link below for the printable version. Print this fun outline colouring page of a school caretaker - fun for Back to School, perhaps? Just click the link below for the printable version. Sitting on the carpet to share a story or a song is an important part of early schooling. 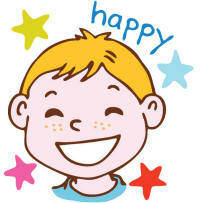 Children can have fun making the carpet as colourful as they like on our carpet colouring page. There are labelled and unlabelled versions of our chair colouring page to choose from. Both feature a simple classroom chair. This looks like a fun experiment! Our chemistry themed colouring page is ideal for kids who love science and experiments. Help children learn their way around the classroom with our fun set of classroom vocabulary colouring pages, this one features a cheerful classroom door. This clock colouring page is great for a back to school activity, and could also be used when learning about telling the time? See if you can tempt a computer mad child to do a little colouring with our computer colouring page. Perhaps they could draw their favourite game on the screen? Here's a fun colouring page featuring a pack of crayons. Kids can choose all their favourite colours or perhaps copy the selection of colours you would find inside a real pack... Click the link below for the printable version. Children will have fun deciding which colours to use to add colour to the crayons on this simple colouring page. Here's a fun picture of a box of crayons for the kids to colour in, maybe as a back to school activity? Which colour crayons will they choose? Here's a simple picture of an old-fashioned school desk for kids to colour in. This school desk colouring pages comes in a choice of 2 versions one with a label and one without. This fun globe colouring page is great for a back to school activity, or for getting the kids interested in geography! Print and colour picture this lovely detailed colouring page of a classroom, with the children actively tidying up! Each of these pdf files contains a set of colouring pages that take children around the classroom and includes: a book, a carpet, a chair, a door, computer, crayons, a desk, paints, a pencil, a teacher, toys and a window. One set includes the words on the page for reading practice, too. All over Britain, Lollipop men and ladies help children cross the road to and from school. Here's a delightful colouring page of a Lollilop crossing. Here's a colouring page of a lollipop lady with simple outlines for younger children. Lollipop ladies and men help children cross the road safely on their way to and from school! Click the link below for the printable version. 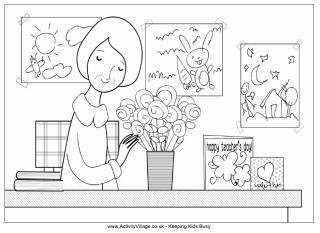 Print and colour this lovely picture of a cheerful lunch lady - always a welcome site during the school day! Click the link below for the printable version. What colour paints will your children colour? Our paints colouring page is one of a series of classroom vocabulary colouring pages. Print this simple pen colouring page for Back to School. The word is underneath the picture for early reading practice. Click the link below for the printable version. Help children learn some classroom vocabulary with this pencil colouring page, available in labelled or unlabelled versions. Some children might think that the playground is the best part of going to school! There's certainly lots going on in the playground in this colouring page. Remind children of this simple school rule with this fun printable colouring page. Also available as School Rules Colouring Posters and Put up your hand story paper. Print this simple outline school bag or backpack colouring page for the kids to colour in - perfect for Back to School! Click the link below for the printable version. These school bookmarks are fun for kids to colour in and a great way to start a new term or school year. This cheerful school boy needs to be coloured in! Just print out our colouring page and decide on the colour of his uniform. Click the link below for the printable version. We all know it is time to go Back to School when we start seeing school buses like the one in this colouring page on the streets! Here's a simple outline school bus colouring page to print and colour in. Just click the link below for the printable version. Here's a lovely detailed colouring page of two children standing outside school - fun for kids to colour in at the start of a new school year, perhaps? Here's a simple colouring page for younger children showing a traditional Victorian school house - the sort that still holds many primary schools around the country. Click the link below for the printable version. Here's a school colouring page for younger children featuring a boy and girl playing in the playground in front of a traditional Victorian school. Click the link below for the printable version. Here's a fun school girl colouring page for kids to print and colour in with the right colours for their school uniform - or they can make up their own! Click the link below for the printable version. How lovely to go to a school like this one! We hope you enjoy this colouring page of this pretty, old fashioned school house. There's lots of detail for kids to colour in. Here's an American-style school house colouring page for younger children to print and enjoy, complete with bell to announce the end of the school day! Click the link below for the printable version. This card would make a fun thank you card for teacher. Teachers could print one for every member of the class to colour and then they could all sign each other's as a lovely end of term momento. Here's a fun colouring page to print showing a male teacher drawing on the blackboard with two little children looking eagerly on! Here's a fun printable teacher colouring page for younger children featuring an elegant female teacher. Just click the link below to download our printable version. The fifth of our teacher colouring pages features a smartly dressed lady teacher. One of a set of colouring pages designed to encourage children to remember some simple school rules. In this colouring page a little girl remembers to throw some paper into the recycling bin. What can you spot to colour in on this shelves of toys colouring page? Choose from versions with or without a label. Forming a patient "crocodile" is so much a part of school life, and this colouring page of school children waiting in line captures it very well! Useful for teaching kids about simple school rules, this colouring page captures the busy-ness of a school corridor and has lots of detail for kids to colour in. Here's a colouring page of a group of children walking to school in the morning. If you are lucky enough to live close enough to school to walk, it is by far the nicest way to get there, especially if you can join up with friends along the way! This picture of a girl remembering to wash her hands is just one of a set of colouring pages designed to introduce simple rules to school age children. 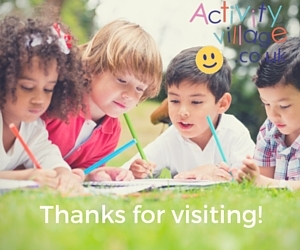 Kids will enjoy colouring in this fun Welcome Back to School colouring page or colouring sign featuring a playground of children! It would look great displayed on the classroom door! Click the link below for the printable version. A cheerfully decorated classroom window features on this colouring page. One of our series of classroom vocabulary colouring pages.